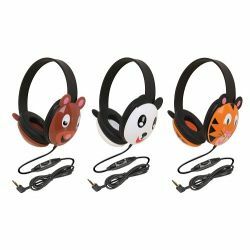 These exceptionally popular headphones were designed with safety and age appropriateness in mind. The designs and primary colors help engage students in the listening activity. 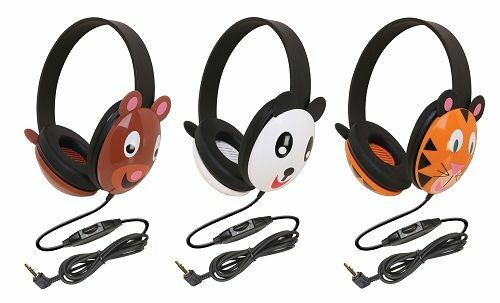 The size and weight of the Listening First headphones are “just right" for younger students. Slotted baffles protect the internal speakers from accidental perforation of the internal speakers and ambient noise-reducing earcups help block external noises to keep students focused and on task. 3.5mm plug with inline volume control.